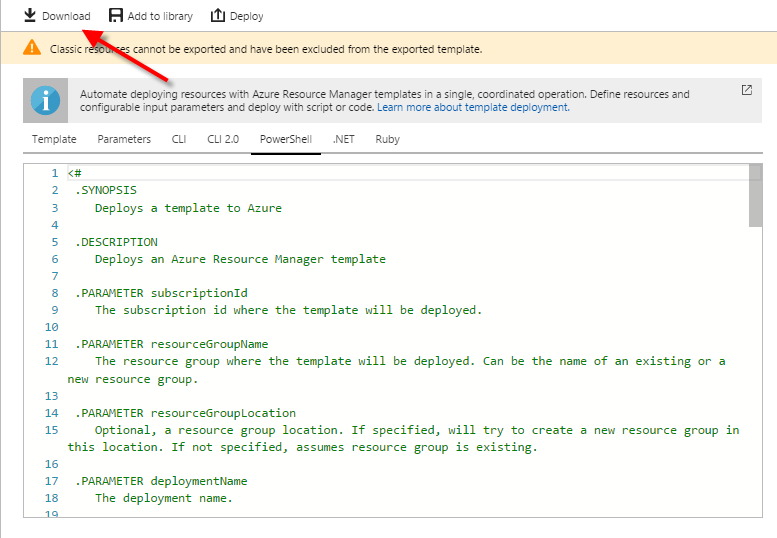 In this post I will show how to download the automation scripts that Azure provides when you create a new virtual machine in Azure. This is great for PowerShell scripting or if you want to interact with your VM in Visual Studio. You don't have to start from scratch. 3. 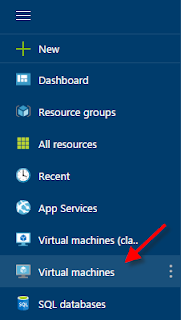 A list of virtual machine instance will be displayed, I will choose the windows instance I created earlier. Obviously yours will look different depending on what you named your VM. 4. 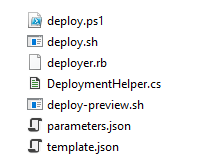 Under the "Settings" section select "Automation script"
5. As you can see there are scripts for different languages to perform automated tasks on your VM. You want to click on the "Download" button to get the scripts.